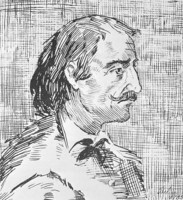 JÉRÉMIE, dit Lamontagne, NICOLAS, interpreter and clerk for the trading-posts in the king’s domain and on Hudson Bay; bap. 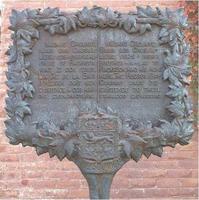 at Sillery, 16 Feb. 1669, fourth of the 12 children of Noël Jérémie* and Jeanne Pelletier; d. 19 Oct. 1732 at Quebec. In 1676 Noël Jérémie was clerk at Métabetchouan, a trading-post which Pierre Bécart de Granville had just set up. In 1690 he was at Chicoutimi with his son Nicolas, who was then 21, and later, in 1693, at Tadoussac, still acting as clerk for the fur trade in the king’s domain and with his son Nicolas still under his orders. At that time he was an assiduous visitor to the post on the Îlets Jérémie, situated 87 miles to the east of Tadoussac, where the Papinachois Indians from the headwaters of the Bersimis and the rivers of the region came to barter their furs. Noël and Nicolas Jérémie had therefore almost completely covered the king’s domain, which besides Tadoussac, Chicoutimi, and the Îlets Jérémie, had only one other firmly established post, that on the Moisie River. It was in honour of Noël Jérémie (and perhaps also of his son Nicolas) that the Îlets Jérémie were named. Frequent references to this place-name were already to be found in the “Miscellaneorum liber” (1691–1780), which is a continuation of the “Second registre de Tadoussac” and which was drawn up in particular by the Jesuit missionaries Pierre Laure, Claude Coquart*, and Jean-Baptiste de La Brosse*. According to one opinion, which however lacks confirmation, the Côte de la Montagne at Quebec also owes its name to Noël Jérémie, who is supposed to have owned a pied-à-terre near there. 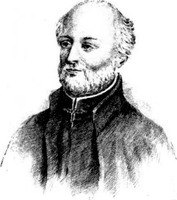 Nicolas Jérémie was baptized in 1669 at Sillery and was brought up at Batiscan. In 1693 he married the Montagnais Indian Marie-Madeleine Tetesigaguoy at Lac Saint-John. Father Crespieul solemnized the marriage. Since Nicolas was under 25, the legal age of majority at that time, and as the ordinances concerning marriages between French and Indians had not been respected, the Conseil Souverain annulled the marriage in 1694, at the request of Nicolas’ father; the petitioner was however sentenced to provide for the Indian girl, for whom Jacques Gourdeau and Louis Jolliet* were appointed guardians. After this episode Nicolas lived for some years in the Hudson Bay region, in the service of the state and various trading companies. 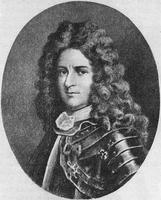 Nicolas died in 1732 and was buried in the basilica of Quebec. In 1735 Françoise Bourot, whom he had married at Quebec in 1707, married a businessman and navigator, Charles Boucher de Boucherville. She died 3 Aug. 1758. By this marriage Nicolas had only one daughter, Françoise, who was 22 in 1745. Nicolas’ daughter does not seem to have married; his brothers on the other hand had numerous descendants, who retained only the surnames Douville, Dauville, Beaurivage, and Lamontagne. All the families that bear these names, however, do not necessarily go back to Noël Jérémie. A sister of Nicolas Jérémie, Catherine* (1664–1744), was one of the earliest herbalists in Canada. She treated her children and neighbours with medicinal herbs, and she is even supposed to have sent botanical specimens to France. In 1681, at Champlain where her parents were dwelling at the time after living at Batiscan, she married Jacques Aubuchon, by whom she had a daughter. She married again, in 1688, at Batiscan, her second husband being Michel Lepallieur, a Quebec notary, who settled in Montreal in 1703. By her marriage with him she had 10 or 11 children. Jérémie’s work, written after his return for good from Hudson Bay, is concise but nonetheless accurate. Except for the historical portion, it is the work of an eye-witness. “I note down nothing,” he wrote, “until I have seen and examined it myself: and in order not to advance anything on the word of others, I have visited nearly all the places which I speak of. “ It is essentially a narration and a report. The author first groups his material by subjects: early history, description of the country and its fauna, the conquest by the French of parts of Hudson Bay, a phase with which he had been intimately associated; then he comes back to the fauna. At this point his narration turns into a report on the future prospects of the Hudson Bay territory and the regions to the west. It is evident that this report was destined for someone close to the king’s counsellors, perhaps even for the minister. As access to the work is not easy, it is advisable to give a short analysis of its contents. Nicolas first recounts briefly the history of the discovery of Hudson Bay and of the trips that had been made there before his own in 1694. He then dwells at greater length on what he observed himself. He describes among other things the topography of the territory; the ice conditions, which turn the bay into a sea closed to navigation for more than nine months of the year; and the pronounced magnetic variation from the North, giving indications which permit conjectures about a magnetic pole that was not yet known. His special interest is in the fauna: after brief descriptions of the walrus, caribou, and beaver (whose dam and lodge he studies) and a mention of all the animals that had some economic importance, he introduces his readers to an animal that frequented the Rivière Danoise (the Churchill River, which had been discovered by Jens Munk*, the leader of a Danish expedition in 1619–20). These animals are “a sort of ox which we call Bœufs musquez (musk-oxen), because they smell so strongly of musk that in certain seasons of the year it is impossible to eat their meat.” His description of the musk-ox is probably the first of this mammal. Even the name of the beast seems to be mentioned in French for the first time. The long, fine, silky wool of the musk-ox particularly interested Jérémie, and in 1708 he took some of it to France to “have made for himself stockings that were finer than silk ones.” One of the next appearances of the musk-ox would be in the Histoire by La Potherie (Le Roy), which likewise recounts the capture of Fort Nelson and which, though written about the same time as Jérémie’s “Relation,” was not published until 1753. Jérémie’s description of the musk-ox remains a classic document in the history of zoology, but it should be pointed out that the drawing of what is identified as the “wild ox of the Mississippi and Hudson Bay” in the 1720 edition is that of the buffalo rather than the musk-ox, the two animals obviously having been confused by the illustrator, as the caption proves. The animal’s horns and the hunters’ dress show without the slightest doubt that the drawing is the work of an artist who had never seen the animal, rather than of Jérémie himself. Quite naturally, Jérémie’s attention was drawn particularly to hunting and fishing. He was the representative of a fur-trading company, and he also had to see that the garrison was fed. The products of hunting and fishing, piled up at the beginning of the winter and kept frozen in the snow, would keep almost till the spring. Hares and partridge were so abundant that according to his calculations the 80 men of the garrison would have consumed in one winter 90,000 partridges and 25,000 hares, which amounts to 4 partridges and 1 hare a day per man. At Fort Bourbon even a vegetable garden was planted, in which grew “good lettuce, green cabbages, and other vegetables of the same sort which we salted down to make soup during the winter.” This was surely one of the earliest attempts, if not the first, to carry on agriculture in Canada at this latitude. The “Relation” refers to the existence, far to the west of Hudson Bay, in the Dogrib Indian country, of “a mine of red copper, so abundant and so pure that, without treating it in the forge but just as they gather it in the mine, they simply hit it between two stones and make out of it anything they wish. I have very often seen some of it, because our Indians used to bring some back every time they went to war in those parts.” This is one of the earliest mentions, supported by specimens, of the existence of copper in the northwest territories. The author was interested in the Amerindian peoples, particularly the Eskimos, whom he described at length, and the Platscotés de Chiens (a name which designates in particular an Athapaskan band known today in English as the Dogribs), who lived farther west and who “are at war with our Savanais.” The latter were the Swampy Crees, or Maskegons (from the Algonkian moskeg, meaning peat-bog or swamp, called in popular French-Canadian speech savane). 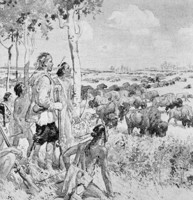 He likewise mentions the Assiniboins (of the Sioux family), the Kristinaux (today the Crees), and the Sauteux (comprising part of the Chippewas and, like the preceding groups, belonging to the Algonkian family), who lived in the region of Lake Winnipeg and had dealings with the natives who carried on trade with Fort Bourbon. During his stay in the Hudson Bay region Jérémie: was to try to have exploration carried out to the west and southwest, beyond the hydrographic basin in which he was living. The part played by Jérémie himself in the Hudson Bay region began in 1694. Previously (1682–83), Chouart* Des Groseilliers and Radisson had gained control of the mouths of the Nelson and Hayes Rivers and the trading-post became Fort Bourbon. Subsequently the site returned to the English, who were still established there in 1694, when Pierre Le Moyne d’Iberville came to seize it with the Poli and another ship commanded by his brother Joseph Le Moyne de Serigny (the Charante, according to Jérémie, but according to Prud’homme, Rich, and Tyrrell the Salamandre). Nicolas Jérémie came with Iberville on the Poli and set himself up at Fort Bourbon as “ensign and interpreter of the languages of the Indians, and commercial director.” He was indeed the representative of a fur-trading company, the Compagnie du Nord or Compagnie de la baie d’Hudson, which was to be succeeded in January 1701 by the Compagnie du Canada, known popularly as the Compagnie des Castors and Compagnie du Pays. When Iberville set off again for France in September, he left Gabriel Testard* de La Forest in command of the fort, with a company of 67 men. In September 1696 the English came back. On the day following their arrival, 6 September, when they were preparing to land, Jérémie was given the task of opposing them with 14 men. “As we were lying in ambush in dense thickets, and as I took care to have my men fire at the right moment, one after another, each time I saw an armed longboat appear, the English promptly returned aboard ship.” For lack of supplies, the fort had to capitulate. But contrary to “the terms of capitulation, which were most advantageous,” wrote Jérémie, “they broke their promises; for instead of putting us on French territory, with all our belongings, as they had promised, they took us to England and threw us into prison, while our pelts and other belongings were plundered.” The conditions of capitulation were, however, ambiguous and could be interpreted differently. by the two sides, as Kelsey’s diary shows. Four months later Jérémie crossed to France, and at the beginning of 1697 he went directly to Placentia (Plaisance) to rejoin Iberville, who was in command of four ships, Pélican, Palmier, Profond, and Vespe (Wesp), and who returned to Hudson Bay. On 8 Sept. 1697 Jérémie took part in the capture of the former Fort Bourbon, of which Serigny became governor on Iberville’s departure for Europe. In 1698 Serigny likewise departed, leaving his relative, Jean-Baptiste Le Moyne de Martigny, in command, while Jérémie fulfilled the duties of lieutenant and interpreter. Jérémie also continued to direct the fur trade until 1707, and after asking for leave several times he returned to France by way of Quebec, where he married Françoise Bourot, the widow of Jean Chaviteau, a ship’s captain. As soon as he arrived in Europe, he was proposed to the court as commander of Fort Bourbon. He therefore left in 1708 from La Rochelle, with a new garrison. As it was too late in the year to enter Hudson Strait, which was usually blocked early by the ice, they had to spend the winter at Placentia. Jérémie consequently wrote to the person to whom he was later to address his “Relation” (whom the editor in Amsterdam simply calls Monsieur) and who seems to have been the minister or at least someone in high authority: “We were obliged to put into Plaisance, from where I had the honour of writing you to ask your permission to obtain supplies from Canada, and you were so kind as to give your assent.” The permission no doubt allowed him to go to Quebec, where his wife perhaps was – we do not know whether he had taken her with him to France right after his marriage, or whether she accompanied him later to Fort Bourbon. The scarcity of their reserves forced Jérémie to keep the powder, which was in danger of running out, for the garrison. In 1712 this situation brought about the massacre of eight of his best men, whom he had sent out to hunt. Since he was unable after that to keep up both Fort Bourbon and Fort Phélipeaux, a subordinate post on the Hayes River, he ordered the garrison of the latter to withdraw; but as he had not had time to have the 100 pounds of powder remaining in the abandoned fort carried away, the Indians seized it, which brought the garrison to the brink of famine by the spring. Fortunately the ship which arrived in 1713 delivered them from these difficulties. In 1714 Jérémie received from the court an order, along with letters from the Comte de Pontchartrain, to hand the post over to the English (see James Knight), in accord with the terms of the treaty of Utrecht. We have hardly any information about his subsequent career. We know that he returned to Quebec and that, shortly before he wrote his “Relation”, Intendant Bégon* asked to see him in order to obtain information concerning western exploration. At a time when Hudson Bay had become English territory, except for short periods, Jérémie’s account is one of the rare documents by a Frenchman who had lived for some years in those regions. The descriptions that the author gives of the life of the natives furnish Canadian ethnology with precious data: Jérémie spent a rather long time in the country; his testimony is not that of a passing traveller. Finally, his account of the campaigns by the French in Hudson Bay under Iberville’s command, which he had witnessed and taken part in, provides precise details about this phase of history. Nicolas Jérémie’s “Relation du Détroit et de la Baie d’Hudson” was first published in the Recueil d’arrests et autres pikes pour l’établissement de la Compagnie d’Occident (Amsterdam, 1720); the second edition of the “Relation” appeared in Recueil de voyages au Nord (Amsterdam, 1732), III. A third edition, based on the edition of 1732 but compared with that of 1720, was entitled: “Relation du Détroit et de la Baie d’Hudson par Monsieur Jérémie,” with Intro. by J.-H. Prud’homme, published in the Société hist. de Saint-Boniface Bull, II (1912); some spelling changes have been made in this edition and three short passages, which added little to the text, have been deleted. The fourth edition was published in English: Twenty years of York Factory, 1694–1714: Jérémie’s account of Hudson Strait and Bay, tr. from the French ed. of 1720 with notes and Intro. by Robert Douglas and J. N. Wallace (Ottawa, 1926). According to JR (Thwaites), LXXI, 252, Jérémie’s work first appeared in Amsterdam in 1710; this is an error and should read 1720. Jacques Rousseau, “JÉRÉMIE, Lamontagne, NICOLAS,” in Dictionary of Canadian Biography, vol. 2, University of Toronto/Université Laval, 2003–, accessed April 25, 2019, http://www.biographi.ca/en/bio/jeremie_nicolas_2E.html.